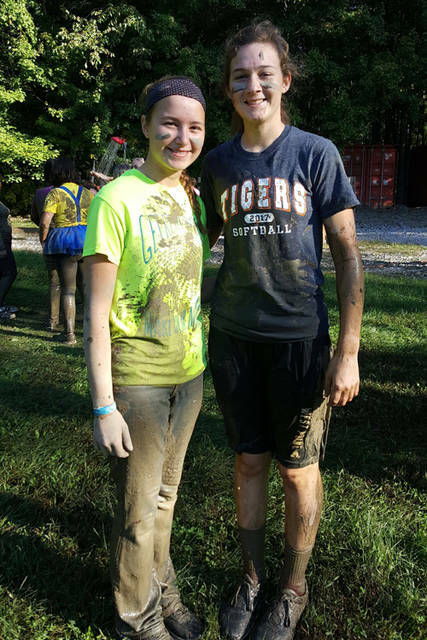 Versailles FCCLA members Jenna Mangen (left) and Savannah Toner (right) completed the team obstacle course at the Hartland Leadership Conference. MARENGO – Versailles FCCLA members Jenna Mangen and Savannah Toner attend the Hartland Leadership Conference on Oct. 8 and 9 in Marengo. “I had a lot of fun at Hartland, and learned how to lead people younger than me while maintaining a positive attitude,” President Jenna Mangen added.